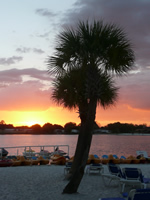 campLPC2020 takes place March 8th to 14th in Orlando, Florida. For adult triathletes of all abilities (beginner to experienced). 1: View our home page below. 2: Click on "Register Now" button. 3: Submit Camp Reservation Form. 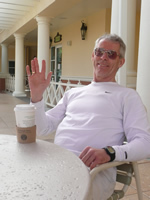 Although campers will be busy training, learning, and recovering, occasional afternoons and evenings will be open to enjoy the plethora of restaurants and attractions that has made Kissimmee, Florida, an international tourist Mecca. This is the perfect camp for the triathlete looking to learn from Professional Coaches, obtain a fitness and inspirational boost for the upcoming season, and enjoy favourable weather and training in paradise surroundings. It is also the ideal camp to bring friends, family, and significant others, as there are numerous attractions and shopping destinations to keep anyone and everyone entertained. 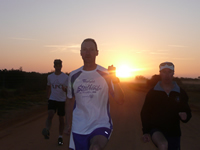 Our goal is to provide the ultimate warm weather multi-faceted triathlon training camp that is educational, inspirational, and FUN. A March camp in warm weather provides the perfect opportunity for pre-season training, and to improve your technical skill-set in all three of triathlon's disciplines. 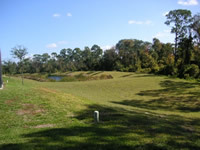 campLPC takes place in the surrounding areas of Kissimmee, Clermont, and Orlando Florida. campLPC accommodations take place at Emerald Island Resort, only three miles from Walt Disney World..
All campers are encouraged to stay in Emerald Island Resort, either in one of the reserved campLPC houses, or in a house that you rent on your own. 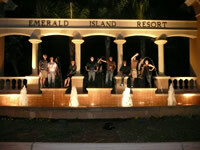 However, numerous accommodation options are available within close proximity of Emerald Island Resort. As an added bonus, just minutes from Emerald Island Resort, campers will be provided with unlimited access to Orange Lake Resort, which will provide the opportunity to relax at the 350 meter 'lazy river' pool at River Island. Technical pool swims (featuring above water and underwater video analysis) will take place at the National Training Center (NTC). 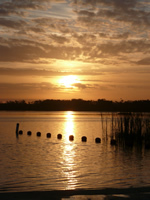 Open water swims will take place at Lake Louisa State Park, at the same venue that features annual ITU Pan American Cup Triathlons. Triathlon-specific swim sessions are featured at the amazing 350-meter River Island Pool at Orange Lake Resort. All swims will be separated into at least three different groups according to current level of ability, duration, pace, and intensity. Who says Florida is flat? 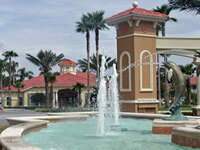 Campers will enjoy riding on the freshly paved roads of Kissimmee, and the cycling haven rolling terrain of Clermont. A brick workout will take place at Lake Louisa State Park, which boasts a rolling 7 mile bike loop, running trails, and open water swimming. Campers will also have the option of challenging themselves up the popular Sugarloaf climb. All bike sessions will be separate into at least four different groups according to current level of ability, distance, duration, intensity, and pace. The surreal Orange Grove 10 mile loop is a favourite among those who have encountered this hidden gem. Come see why this will be one of the most memorable runs of your life. Campers will only have to step out from their accommodation to enjoy the scenic terrain of Emerald Island Resort Conservation Area. 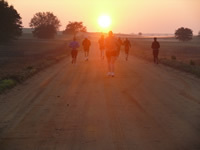 All runs (or walks) will be personalized (with respect to both duration and intensity) to reflect the current ability and fitness of each camper. Campers will learn swim, bike, and run-specific performance and injury-prevention exercises. Triathlon-specific dynamic stretching will take place prior to most sessions. Look forward to a relaxing Gentle Yoga session after a productive day of training. 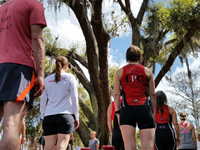 campLPC is geared for ALL levels of ability ("newbie, beginner, intermediate, experienced), who aim to participate in triathlon distances ranging from Try-a-Tri to Ironman. A revised detailed camp schedule will be emailed to all registered campers shortly before the start of campLPC. A Camper Questionnaire will be emailed to all registered campers approximately one month before the start of campLPC to help provide camp coaches with important background info for each athlete. This will help camp coaches to personalize your camp experience, and help to ensure that you do the appropriate swim/bike/run duration and intensity throughout the camp. Coaches will ensure that all athletes feel comfortable and fit well in a group that will reflect their current level of fitness and ability. Fatigue levels and other factors might come into play that will have campers train with the "longer" or "faster" group one day, and with the "shorter" or "slower" group at another session. Shorter and longer groups will separate into different paces, so that all campers will experience an appropriate duration and intensity for each swim/bike/run session. A professionally run camp, ran on time and as scheduled. Something for everyone whether new to triathlon or an Ironman veteran. Once again, a truly remarkable camp experience. I was impressed with the quality of the Coaching staff, and their ability to relate to my training needs. Their knowledge of the sport is very comprehensive, up to date, and techniques are explained in such as way that is easy to understand. The schedule was very well organized, and all camp activities were very educational and enjoyable. Contact Head Coach James Loaring by email, or phone (519) 562-5231, if you would like more information regarding campLPC.